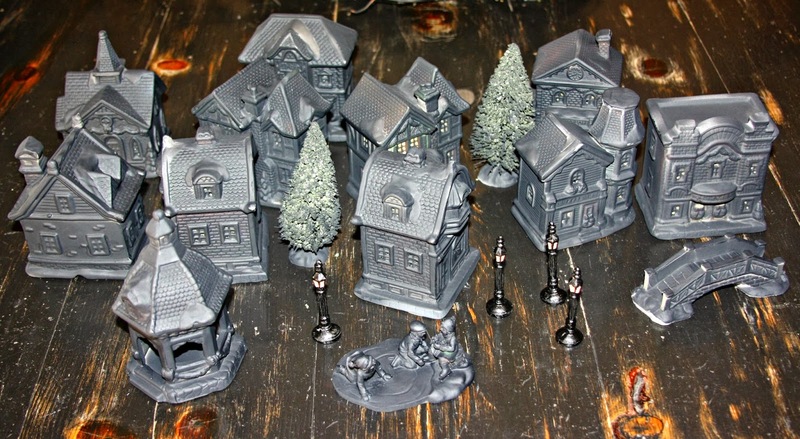 Haunted Village that I made! 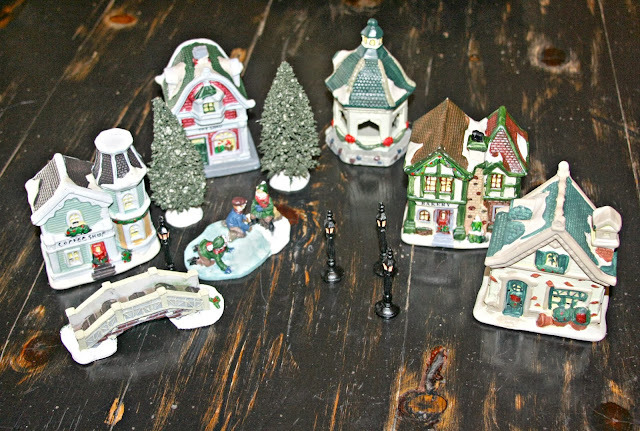 I purchase little Christmas buildings at the dollar store. I went back and got more after I took this picture. I spray painted them black. I then sanded the edges and put a little yellow, red and green paint here and there. I set them out on some black material and added a string of little purple lights though them. Totally love this! I'm all about Halloween and if I can find a good decoration for cheap, it makes my day! Thanks for sharing! 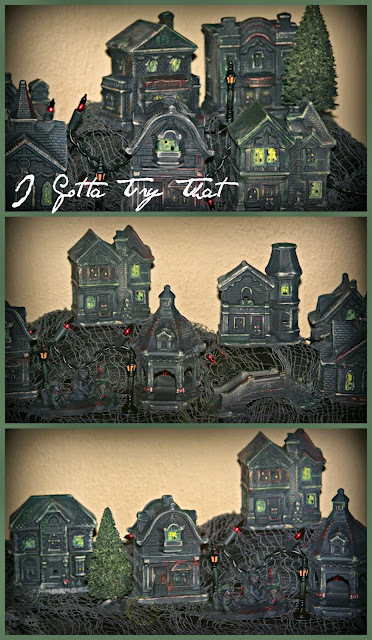 I loved this so much I pinned it and saved it and then.........this weekend I was at the $1 store and saw the houses - I was inspired to make my own village! Mine will be a little different and I will post when I get it finished. I personally haven't ever seen it done before so it was doubly impressive to me! Thanks so much Kalamity! I would love to see yours when you get it done. It was such a fun project!